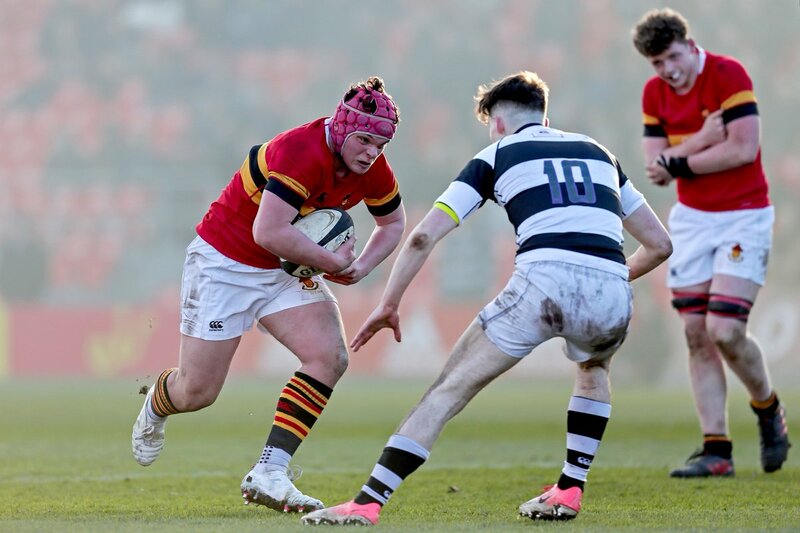 CBC came from fifteen points down at half time to secure a place in this season’s Munster Senior Cup Final. The scoring was opened in the 24th minute when PBC’s star man Sean French knocked over a simple penalty kick – but the centre wasn’t content with only scoring from the tee. Not long later French evaded a couple of tacklers and offloaded to teammate Jonathan Wren before taking a return pass from the impressive fullback. Full of confidence, the Munster U19s man continued on his run, chipped over the final CBC defender and dotted down for a sensational try. He couldn’t add the conversion but PBC had suddenly established a commanding 8-0 half time lead. Eight turned to fifteen soon after the break. This time Mark McLaughlin produced the magic for the game’s second try as Pres’ continued their excellent work. CBC, at 15-0, looked to be down and out but the 2016 champions simply refused to surrender. Christians’ forwards began to dominate in the final half an hour and after finding some decent field possession the ball was spread wide to Eoghan Barrett who touched down in the left-hand corner. 15-5. And lightning struck twice. On the 57 minute mark Barrett was again sent through in the corner with Eoin Monahan this time converting to bring the scoreline to CBC 15-12 PBC. From there, CBC showed sheer tenacity and intensity to plough their way towards the PBC try line. After no less than eight minutes of injury time and with few nails left for supporters to bite on, CBC landed the killer blow to send Musgrave Park into a state of frenzy. With PBC dead on their feet following wave after wave of CBC attack, an opportunity arose to complete the comeback of all comebacks. Christians whipped the ball wide and eventually found winger Adam O’Connor who crossed the whitewash to write his name into schools rugby folklore.